Here’s the thing I’ve learned: we often forget that every answered prayer comes with a cost. Every answered prayer requires work. They make life more complicated instead of simpler. Don’t get me wrong: obviously, every answered prayer comes with awesome blessings and is a blessing in and of itself. It's okay, and actually very important, to celebrate them as if your team just won the World Series. But there is another side to the coin of an answered prayer. On one side are all those blessings -- and on the other are the challenges. The bigger the blessings, the bigger the challenges that come along with it. Every answered prayer doesn’t make life easier. Each one makes life a little (or a lot) harder and a little (or, again, a lot) more complicated. Coming to this realization was kind of frightening for me. It still is, especially since I’m at a point in my life where I feel like every answered prayer from here on out will mean a more complicated life. Not so fast, Prince Charming/Sleeping Beauty. The truth is that once God gives us what we desire according to His will, the story is just getting revved up. You get that new job with a nice paycheck and benefits and a retirement plan. But a new job means you might have to learn the ropes of the business and put in the hours and the work to be successful. You start dating somebody and it's fun and exciting and thrilling. But dating also means investing time into the relationship and managing all the emotional complexities that come with it (and boy, are there many of those). You buy that house you’ve been hunting down, and it's great because now you have a home that is yours. But becoming a homeowner also means dealing with the occasional broken air conditioner in July or termite infestation. To quote the great philosopher and thinker Rocky Balboa, "life ain't all butterflies and rainbows." Every answered prayer comes with more responsibility, more work, and more complications. The bigger the prayer, the greater the challenge. But greater challenges lead to fulfilling rewards. Many of us are standing on the precipice of some big prayers and blessings in life, but we’re afraid to take the leap because of that queasy feeling we look down and see all of the hard work, the challenges, the complications and the responsibilities that lie at the bottom. It would be easier and safer to not pray. To not take a leap (or even just a step) of faith. But easy is not the goal. Safe is not the goal. The goal is to make an impact. The goal is to love God and love others. And that's not easy. That's hard. That takes work. That takes sacrifice. The only way I can achieve those goals is to pray bold prayers and dream big dreams. We have to be willing to take righteous risks and leaps of faith in order to reach the goals we set for ourselves. 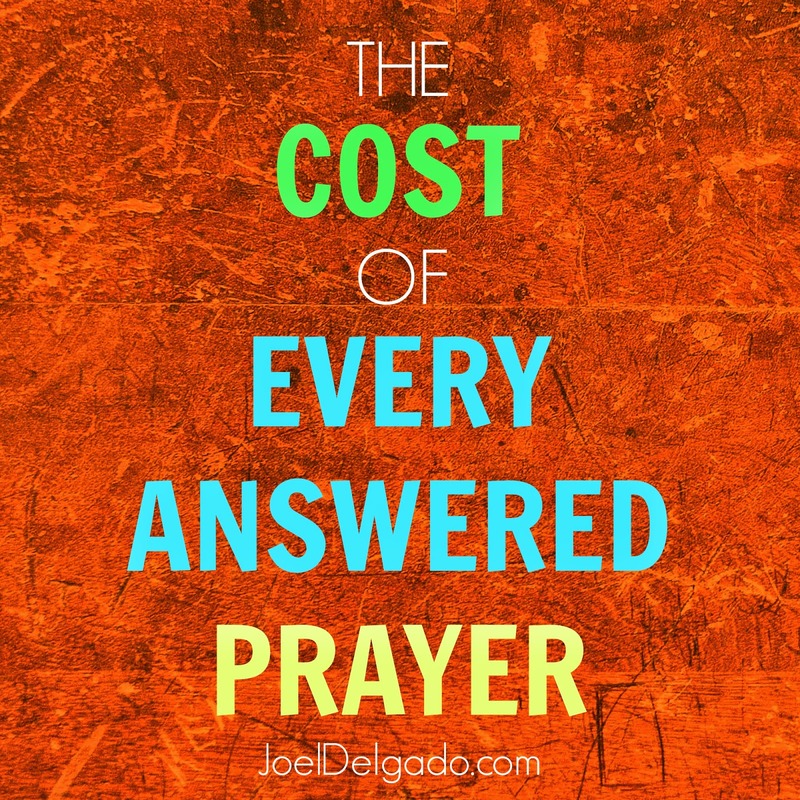 I have to do the math and count the cost of every answered prayer – and realize that it’s all worth it. The bottom line is this: the blessings that come with every answered prayer teach me to praise God, while the challenges that come with those answered prayers teach me depend on God. I thank God for the hard work, responsibilities, challenges and complications of every answered prayer, because they drive me towards a daily dependence on Him. I’ve had to ask myself: What am I doing that would require God to show up in a huge way? What am I praying for that scares the living daylights out of me because I know I couldn’t handle it unless I trusted God with it? The only way we grow is through stretched faith. And the only way our faith is stretched is by taking some leaps and embracing the complications and work that come with every answered prayer.